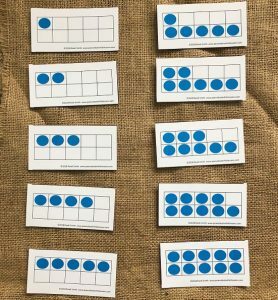 Last week, I talked about a simple number sense routine in which you could use an abacus to build number sense and mental math skills. 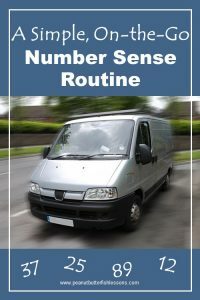 But, if you are like me, you are on the go a lot and also need some simple number sense routines that don’t require any equipment! I have one for you today that you can play in the car or while waiting somewhere. Children can be good at memorizing information without truly understanding it. Think about the child that can count to 10 super fast, but can’t count objects. Or when your child thought ‘lmnop’ was one letter! Even as children learn to count by 2s or backwards, they can fall into this same trap. This routine is great to break children out of this rote memorization and make them think about what comes next in a string of information. It can also be expanded to include practice of other math skills. I Say, You Say simply means that you take turns saying numbers for the skill you are practicing. You explain to your child that you will say a number and he will say the number that comes next. At the simplest level, you would say 1, he would say 2, you would say 3, he would say 4, etc. If you want to play with more than one person, great! Just go around in a circle with each person saying the next number in order. 1. Start with any number and count forward: This breaks your child out of rote counting. My younger guy used to count from 1 under his breath to get to the number I said and then respond to what I said. So obviously, this was a good level for us to work at for a long time. You can also target double-digit, triple-digit, etc. numbers this way. So for example, you say 43….child says 44….you say 45….child says 46, etc. 2. Count backwards: Start at different numbers each time. 3. Count by twos: Sometimes start at one and sometimes start at two. 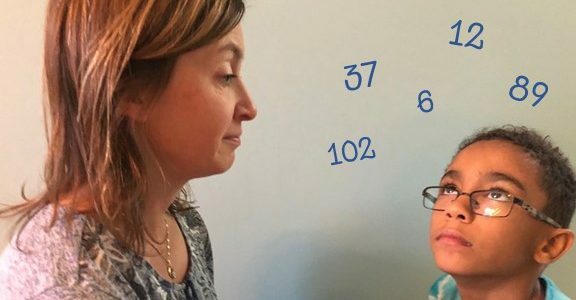 This skill will help them build that ‘two more’ number sense I mentioned in How Get Stop Your Child From Doing Math on His Fingers, which will then help your child make ‘friendly numbers’ when doing math. 4. Count backwards by twos: This will help your child build ‘two less’ number sense. Again sometimes start with an even number and sometimes start with an odd number. 5. Count by fives: You could keep it simple and start with a multiple of 5. You say 25, child says 30, you say 35, etc. Or you could make it more challenging and start with a number that is not a multiple of 5 such as you say 42, child says 47, you say 52. 6. Count by tens: At first you can just pick a ten and have your child count from that number, such you say 10, he says 20, you say 30, etc. 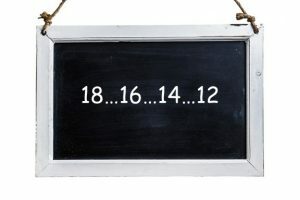 But as your child is ready, start with a number that also contains ones. So you would say 23, he would say 33, you would say 43. Feel free to mix in a variety of skills as long as your child enjoys participating. Note, it is best to work at a level where you child is accurate at least 80% of the time, otherwise he may became frustrated. I wouldn’t personally use this routine to drill all math facts because that just seems like it would take the fun out of the routine. But I do feel like I can get away with doing a small set of math facts around a specific number relationship we are practicing. Make 5 and Make 10: This is one of the basic number relationships children need to build number sense. You would say a number and your child would say a number that you would add to that number to make 5 or 10 depending on which variation you are playing. Examples: You say: 3….child says 2, you say 1….child says 4 or you say 3…child says 7, you say 6….child says 4. If you are at home and your child needs some support in this area, I would encourage to pull out ten frames or an abacus to help him answer. Double Numbers: Doubles are one of the first sets of addition facts that are best to teach a child. I will be talking about this more in a later post. To target this skill with this number routine, you say: 2….child says 4, you say 9….child says 18. 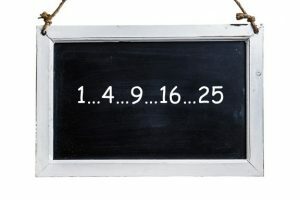 Square roots: You say 25….Child Says 5, You say 81….Child says 9….etc. Money: You say an amount less than a dollar…Child says how much change from a dollar you need. For example, you say $.74…child says $.26. I am sure you will think of many more possibilities. Would love if you shared some of them in the comments below so others can use them, too!